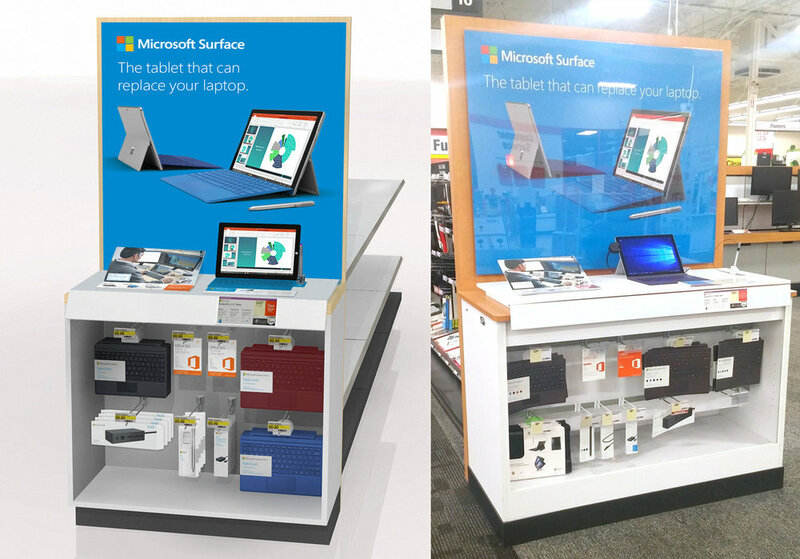 Developed hundreds of successful marketing campaigns (Digital & Visual Merchandising) for Microsoft US Retail Channel Marketing Team across multiple product categories: Windows, Xbox, Surface, Office, and PC Accessories. Partnered with prominent retail partners for both online and storefront delivery: Amazon, Best Buy, Costco, Walmart, GameStop, Staples, Fry’s, Fred Meyer, and other distributors. Our visual merchandising campaigns can be seen across the US in Fred Meyer, Best Buy, Staples, Walmart, Costco, and more. At times I was responsible for turning drawings into visual renderings that became reality for store execution. I also developed a substantial amount of packaging and print materials for in-store sell-points and external adveritising.